Home Resources Books Will We Trust God’s Timing and Provision? Will We Trust God’s Timing and Provision? God promised Abraham a son and established a covenant with him, yet he seemed slow in fulfilling his promises, at least to Abraham. Even after all that, he and Sarah still had to wait. But take note: God never gave Abraham a timeline. He gave him only a promise. Like many of us, Abraham got himself in trouble when he imposed his own timeline on God. But God is always right on time, and events happen according to his plan. Of the many mistakes I’ve made in my life, one that I’ve made most consistently is putting my own timelines on the prompts, leadings and promises of God. For example, when God gave Marcia and me a vision to plant 12Stone Church, he also gave me a sense of the size and scope of what he intended to do. From the beginning I believed God would do significant work there, and the church would become larger than any church I was aware of in 1987. However, starting with the first Sunday the church met, my expectations were continually disappointed. Four years in, our average attendance was still fewer than one hundred people. And our financial situation went backward. Marcia and I lost our savings. Then we had to spend our little retirement fund on living expenses. Then we had to sell our two new cars and buy one old one. For all practical purposes, we lost our house. Then we lost our health insurance. And so I had to ask Marcia to go back to work, something we had agreed she would never have to do after we had kids. Meanwhile, I worked odd jobs to bring in any income I could. It seemed as if God had forgotten us. Our finances were in shambles. How was I supposed to keep trusting God? Was I really going to keep honoring him with our finances by giving the first 10 percent of what we earned as our tithe? We did. But trust became even harder when Julisa, who was a preschooler at the time, ended up in Egleston Children’s Hospital and I had go into debt by signing a promissory note for her to receive the medical care she needed. Under pressure, I had a choice. I always have a choice. I can trust God’s Word and God’s ways or I can quit trusting him. But if I do that, who would I be trusting? Myself! Really? My performance and track record are so good that I can dismiss the promises or leadings or prompts of God? I can control outcomes? Do I really think I can be better than God? This was an issue I’d have to cycle through time and time again over the years. I’ve had to make the choice to trust and re-trust God. Did everything work out instantly? No. We’ve had many successes and many setbacks since then, but because we always want to be in a place where God is free to fulfill his promises in his timeline, we chose trust and obedience. Because I’ve had my own failings in the area of trust, I can’t be too critical or harsh when I read about Abraham and Sarah. After more years went by without a child, Sarah took matters into her own hands. As was the custom of the day, Sarah presented Abraham with her young servant Hagar to provide a child to fulfill God’s promise. Abraham took her, and Ishmael was born. Abraham believed he was on his way to becoming a great nation. But there was only one problem: Ishmael wasn’t God’s promised solution. Instead, the boy became a problem in Abraham’s household and an obstacle to the fulfillment of God’s long-term promises. Like Abraham and Sarah, we’ve all projected our own timetables on God when he hasn’t given us one of his own. We’re impatient, and we don’t like waiting. As a result, we take action and create more problems for ourselves. But God always delivers. In the case of Sarah, she did finally get pregnant and gave birth to Isaac. At age ninety! God had a bigger and better life in mind for Abraham and Sarah. That is also true for you. Despite your unfulfilled dreams, despite what seems barren in your life, God your Father has imagined a more fulfilling life for you than you have imagined for yourself. And what triggers that life is your willingness to trust him. 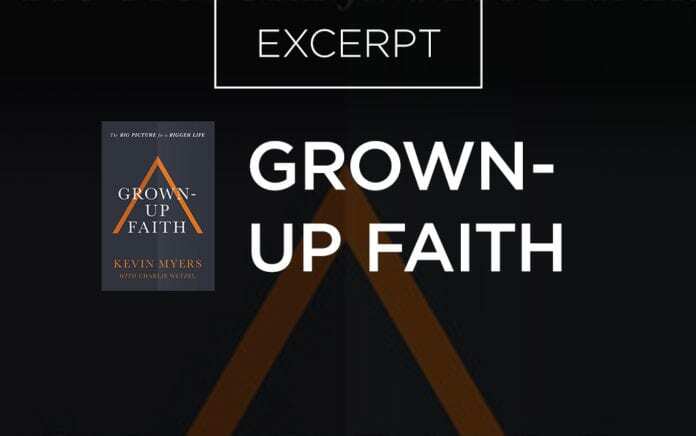 Excerpted from Grown-Up Faith: The Big Picture for a Bigger Life by Kevin Myers Copyright © 2018 by Leadership Gravity, LLC and Wetzel & Wetzel, LLC. Used by permission of Thomas Nelson. ThomasNelson.com. 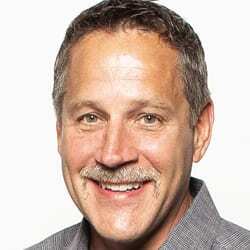 Kevin Myers is the senior pastor at multisite megachurch 12Stone Church in Lawrenceville, Ga., which he founded in 1987 and has slowly grown from a few hundred attendees a weekend to nearly 14,000. Reach him on Twitter at @KevinMyersPK.